The Florida Department of Agriculture and Consumer Services is sponsoring the Farm to Fuel project to develop biofuels crops in Florida. The project is hosting a conference in St. Petersburg in July. Florida Agriculture and Consumer Services is assisting Florida farmers and ranchers in producing bio-fuel crops to help reduce the nation’s dependency on foreign oil. Commissioner Bronson believes that Florida can be a leader in the effort of producing energy from crops and timber because of the vast amount of farm acreage in the state and its mild climate, which permits crops to be grown virtually year round. Florida Farm to Fuel Statute. On August 30 through September 1, The Florida Department of Agriculture and Consumer Services hosted a “Farm to Fuel Summit” in Orlando. This summit, which attracted more than 300 participants, will help Florida take the next step in promoting the production, distribution, and use of renewable fuels, particularly ethanol. This high-profile event featured speakers and panelists representing international, national and state perspectives on issues of research, production and distribution of biofuels. 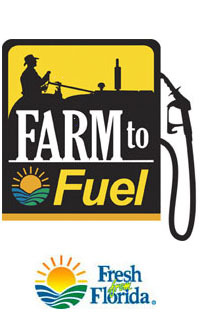 The 2007 Farm to Fuel Summit will be held in St. Petersburg, July 18-20. The Department was also instrumental in securing $5 million in funding for Renewable Energy Technologies Grants Program for Bioenergy administered by the Florida Department of Environmental Protection in addition to $10 million for other Renewable Energy Technologies Grants. Information about these grants can be found at: www.dep.state.fl.us/energy/fla_energy/energyact.htm.